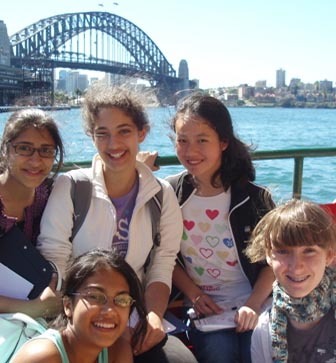 Students will examine the factors which determine the liveability of Millers Point, Milsons Point and Lavender Bay using first hand physical testing of sites (noisemeters, thermometers and light meters) and observation. Beginning in Barangaroo Headland Park, we discuss the factors which make a place liveable, and set out by foot to survey the three suburbs and assess liveability. This includes walking across the Harbour Bridge, where students can observe differences in land use between south and north Sydney.